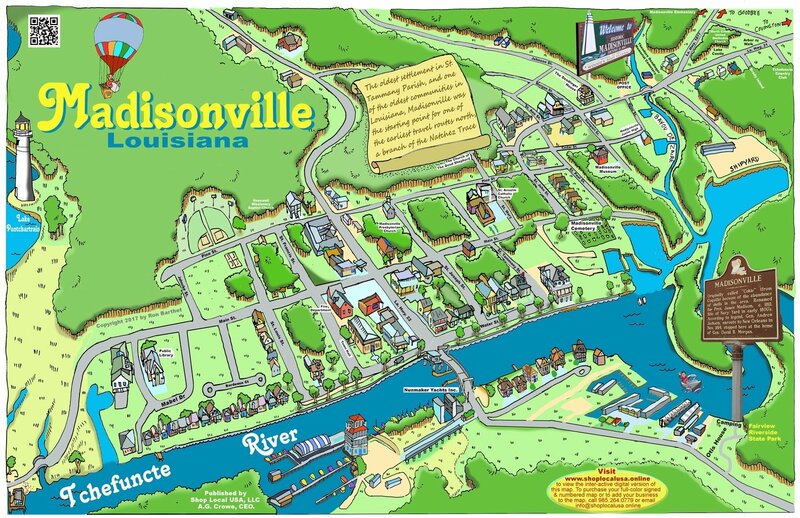 Nestled along the banks of the beautiful, deep waters of the Tchefuncte River lies the historic, nostalgic Town of Madisonville, Louisiana. Madisonville is located north of Lake Pontchartrain, approximately 40 miles from New Orleans. The charm, hospitality and history make picturesque Madisonville a wonderful destination for a day, a week, or a lifetime. Order your Madisonville print(s) so you can share with others the beauty of Madisonville and its people. This 24" X 36" rendering is available ready to frame and mounted on a back board. Quantity discounts are available by calling 985.788.9772. All orders placed and delivered within 50 miles of Madisonville will get free shipping and handling.